Talk to Frank Genesee about how to avoid a criminal record. It could limit your ability to travel, jobs, etc. Your browser does not support HTML5 video. Please upgrade your browser. This confidential information will be forwarded for Frank's immediate review. You need a lawyer if you've been charged with shoplifting. Don’t make the mistake of assuming that shoplifting is a minor criminal charge and that you can deal with it alone. Anyone charged with any crime, including shoplifting, needs an experienced criminal defence lawyer to get the best results possible. Frank Genesee is a skilled criminal defence lawyer in Hamilton, with experience defending individuals from shoplifting charges. Just because you have been caught shoplifting and charged does not mean that you will be convicted. Never assume that your case is hopeless. Contact Frank Genesee and have your case reviewed by a professional before you enter a plea. Frank Genesee will ensure that you understand the charges that you face, the potential consequences of a conviction and your options. Contact Frank Genesee today at (289) 426-1644. What can Frank Genesee do to help? Whether the case against you can be proved. If it can’t, the charges must be dismissed. Whether you have a defence. Whether you qualify for a diversion program. Which crown prosecutors to approach to discuss the availability of a diversion program or to negotiate a plea bargain. How to conduct a trial and what to say in front of particular judges to get the best possible results in your situation. You don’t have the knowledge or skill necessary to get the results that you can expect from Frank Genesee. Nor should you ever try to negotiate a deal with a crown prosecutor on your own behalf. There is an imbalance of power between you and the prosecutor that must be corrected if you want to successfully negotiate a plea bargain or involvement in a diversion program. Not sure what it means to be charged with shoplifting? Criminal laws, including shoplifting laws, can be complex and confusing. Shoplifting is the act of taking something, or trying to take something, from a store without paying for it. Concealing an item from a store on your person may be interpreted as trying to take something, even if you haven’t tried to leave the store yet. Frank Genesee can analyze your case and help you determine if your actions could properly be interpreted as shoplifting. You need the skill and expertise of Frank Genesee in order to successfully defend the charges against you. If you are caught shoplifting, the store security guard may stop you and call the police. The police may take you to the police station and charge you with shoplifting. Diversion programs (where the crown agrees to drop or stay the charges in exchange for your performance of community service). A shoplifting conviction will leave you with a criminal record, which could have lasting effects on your family, career and ability to travel. Before you enter a plea, know your options. 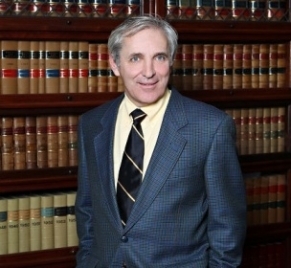 Frank Genesee will analyze your case and determine how to obtain the best outcome for you. You can benefit greatly from having the knowledge, skills and expertise of Frank Genesee on your team. The earlier you call, the more Frank Genesee may be able to do to help you. Call Frank Genesee today for the best possible results.